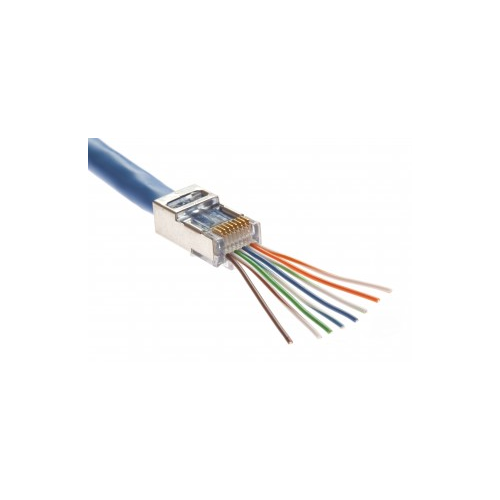 The PLA-100020 from Platinum Tools is an EZ-RJ45 shielded plug with an internal ground. 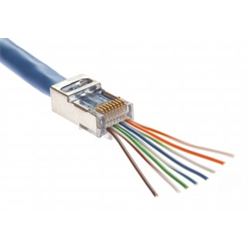 The EZ-RJ45 design lets wires to pass through a connector with greater ease so the twists in each pair can be pulled closer to the contacts than conventional plugs. As a shielded plug, the PLA-100020 provides a higher immunity to noise at all frequencies.